Find Out More Information About The 2020 Jeep Gladiator! The Jeep has been around for a long time. This popular ride continues to impress drivers of all ages. Every few years, it seems, Jeep provides something new – a unique vehicle that turns heads on the road, adds several new features, and offers drivers the aspects of a ride that they love most. Fans of the Jeep are in luck because just around the corner is the 2020 Jeep Gladiator! Vehicle enthusiasts are already abuzz regarding this upcoming ride. What we know now is the fact that the Gladiator offers a twist to the classic Jeep style. Recently revealed at the Los Angeles Auto Show, the 2020 Gladiator looks like a Jeep Wrangler pickup truck, but is so much more! Offered in four trim levels, the Sport, Sport S, Overland, and Rubicon are certain to gain your interest. 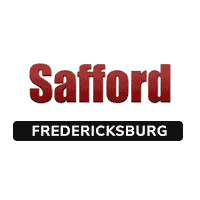 At Safford Chrysler Dodge Jeep RAM of Fredericksburg, we want our shoppers to be as well-informed as possible. That’s why we’re here to provide you with the most up-to-date information that we can. If you’re as excited about the upcoming Gladiator as we are, you’ll love learning more about this superb ride below! Keep reading for more information. If you have questions, don’t hesitate to contact us. Our friendly and knowledgeable team members will be more than happy to help answer your questions! When it comes to the engine of the Gladiator, there are several options. Under the hood, you’ll find a 3.6-liter V6 that produces 285 hp and 260 lb-ft of torque. It is four-wheel drive and comes with either a 6-speed manual transmission or an 8-speed automatic transmission. In addition to this, we expect to also see a 3.0-liter turbodiesel V6 producing 220 hp and 442 lb-ft of torque mated with an 8-speed automatic transmission. Another great aspect of the Jeep Gladiator is the fact that it can tow up to 7,650 lbs with a 1600 lb payload. From boats to trailers, the Gladiator is certain to offer a large hauling capacity. You’ll soon be able to find the 2020 Jeep Gladiator at Safford Chrysler Dodge Jeep RAM of Fredericksburg. At our dealership, our goal is to offer a large inventory for you to choose from, provide you with outstanding customer service, and help you save big by offering numerous deals and specials. We take care of our customers and we want to prove to you that our dealership is the place to be! The deals and special offers we provide to our shoppers are only for a limited time. This means that the prices you see on our site today could be gone tomorrow. You don’t want to miss out on saving big with us! Come see us soon to take advantage of our incredible deals! You’ll find our dealership conveniently located at 5202 Jefferson Davis Hwy, Fredericksburg, VA 22408, which means residents of Olive, Wildcat Corner, and Post Oak are just a short drive away. During your visit, our team of experts will be more than happy to sit down with you to go over your options and answer any questions you might have. In addition to this, we’ll show you around and let you take a test drive or two. We look forward to seeing you soon! Feel free to stop by Monday – Friday from 9:00 a.m. to 9:00 p.m. We’re also open Saturday from 9:00 a.m. to 6:00 p.m. and Sunday from 12:00 p.m. to 5:00 p.m.
*Bluetooth® word mark and logos are registered trademarks owned by Bluetooth SIG, Inc. and any use of such marks by Jeep is under license. A compatible Bluetooth®-enabled phone must first be paired. Phone performance depends on software, coverage and carrier.